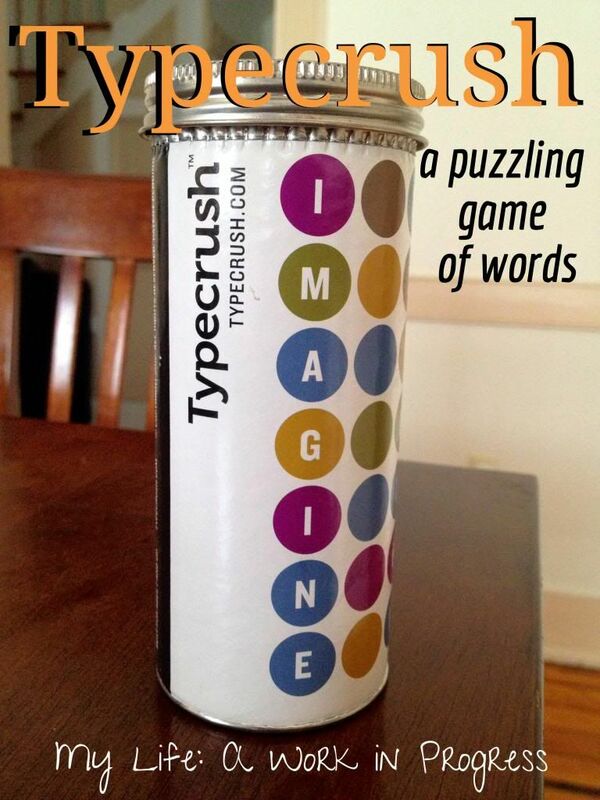 As a member of the Mosaic Reviews team, I received the Typecrush word game to review. Based on letter frequency analysis, Typecrush is entertaining and educational. Players aged seven and up can modify the game to be as simple or challenging as they like. The first person to solve the word gets to choose the next word; otherwise, there are no rules, unless you develop your own. The creators of Typecrush recommend playing with themes like celebrity names, U.S. states, and so on. I played Typecrush with my sister-in-law while the boys were napping, and the “one rule” didn’t make sense in our situation. I’m assuming the rule works if you only have one word to guess but three or more players. Emily and I were the only players, and we each made a word for the other to guess. We tried the celebrity name theme and that was too difficult for us. Apparently we have completely different people in mind when it comes to movie stars, singers, etc.! Next, we played the U.S. states themes. I’m a little embarrassed at how long it took me to guess some of the state names! It definitely highlighted to me that I need to brush up on my geography. I think Typecrush is a fantastic educational tool for either a traditional classroom or homeschooling setting. This game would work well for a family game night too. Why not have fun and learn at the same time? Typecrush could be used in any subject to quiz on terms. An English teacher could have the word “metaphor” hidden for students to guess. Then as clues, the teacher could list different examples of metaphors on the board. Students could quiz one another…there are a lot of possibilities. I also like that Typecrush is eco-friendly and American made. Each game is handcrafted from 100 percent recycled materials. Currently, Typecrush costs $25 (including shipping), which may seem expensive for a game, but I think where and how the games are crafted affect the costs. You pay more for quality. If you’d like to learn more about Typecrush, visit their website and follow them on Twitter for more game theme ideas. I am horrible with names recall and i wouldn’t have succeeded at the celebrity names either! Love it! 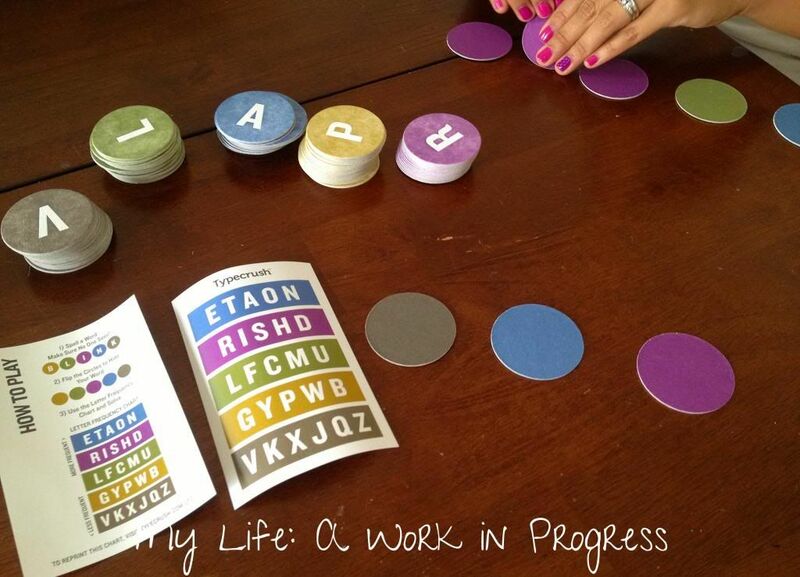 I really love any type game that has to do with words, and this one looks like so much fun! Definitely challenging! Looks like a great game that we should add to our “family game night” rotation! This type of game is right up my husband’s alley! I have a sister-in-law whom I suspect would love to have this in her home. I’ll e-mail her the link! Great! Hopefully she can use it. There really is a myriad of learning possibilities for this game. This is a cool game. It’s kind of like a scrabble game 😀 must be fun to play it with friends. Sounds fun and challenging! 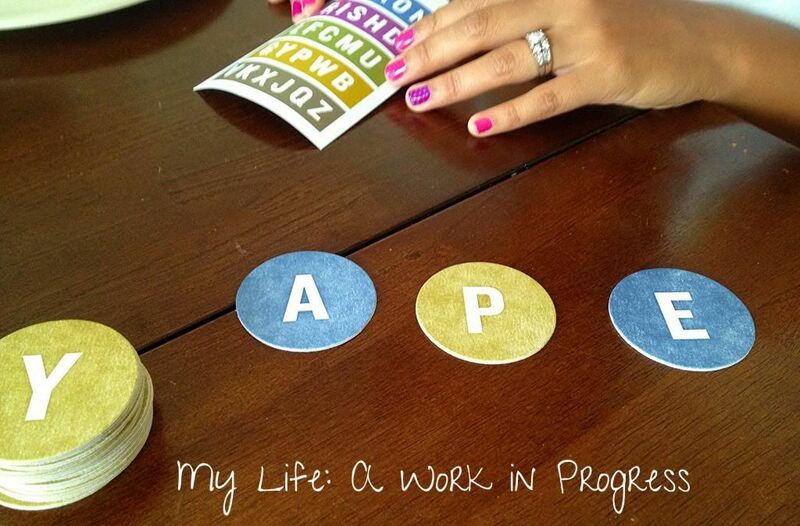 I love word games, so this would be great for game night.